Help and advice: Committee members are always willing to give helpful advice on Highland pony matters; whether you are looking for a pony for sale or would simply like to share your news and meet like minded people. HPEC events: These are run by members, for members and include shows, training days, rides, stud visits and socials. Members from any area can visit any event throughout the country and will be assured of a warm welcome. Eligibility for the HPEC Awards scheme. The performance awards allow members to record their achievements whether it’s rosettes in the competitive arenas or miles covered hacking. The extremely popular ‘happy hacker’ award allows members to time spent hacking and proves invaluable when motivating ourselves to get out and enjoy our ponies throughout the year. Full access to our forum. 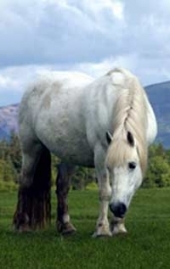 The HPEC runs a friendly and open forum where member discus a vast variety of subjects both highland pony based and on other related and not so related subjects. It includes many sub forums including a book club, a diet club (human not pony), and conversely a good food area, a member only area, for sale boards for both ponies and riding equipment. Access to members only area of this web site, which will allow you to down load back copies of the Highland Times and newsletters in pdf form. Membership costs just £20.00 a year for adults or £10 a year for under 18's.